External Bulk Roll Holder for Labelstation printers, enabling the printer to accomodate bulk rolls of labels up to 200mm (8 inches) in diameter. 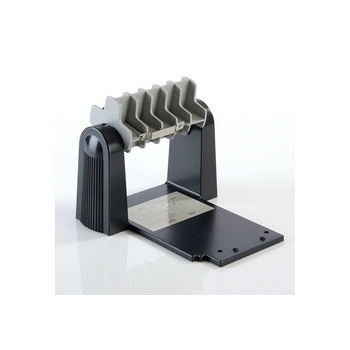 Roll holder simply clips into the base of printer. Label roll core compatability: 25mm and 76mm.